In my previous blog dated October 29th, 2018, Its India’s hour of reckoning – The Desi #MeToo Movement, I spoke about the rising tide of the Desi #MeToo movement. I highlighted that how corporates are jolted up with this movement and are formulating and revisiting employee background screening policies. 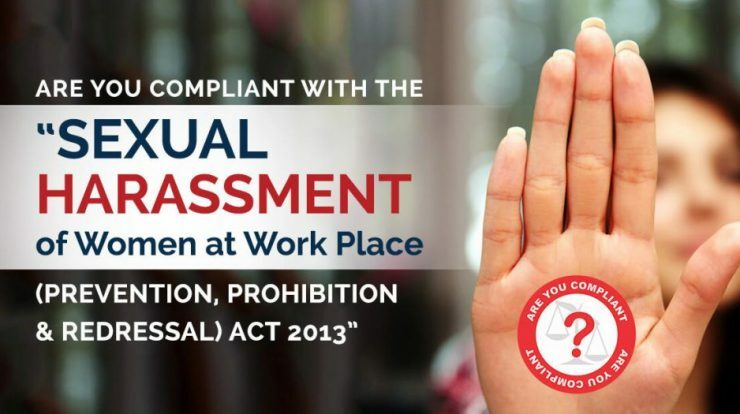 In this blog, I would like to educate my readers about The Sexual Harassment of Women at Workplace Act, 2013. This is extremely important to know and implement at your workplace. This should come foremost and ought to be viewed seriously. This act prescribes a system for investigating and redressing complaints against sexual harassment of women at the workplace. It also provides safeguards against false or malicious charges. • With sexual harassment being a crime, employers are obligated to report offenses. • Humiliating treatment likely to affect health or safety. • Any other unwelcome physical verbal or non-verbal conduct of sexual nature. • Societies, trusts, and non-governmental organizations, where people work on a voluntary basis. The advent of the #MeToo movement and the resulting national debates has not only opened the Pandora’s Box but has also resulted in a lot of positive and welcome changes in the forms of initiatives that were long pending. As employers, decision makers, HR Managers you have the opportunity to positively and clearly redefine the boundaries of acceptable workplace conduct. You are now expected to send a message to your team, that they are valued and that the organization is committed to providing a respectful workplace – not merely because the organization wishes to mitigate legal risk or prevent a PR disaster, but because it is the right thing to do. This does not limit to women! Men, women and the LGBT community need to be encompassed in this. • Update the official employee handbook that outlines the procedure that will take place when sexual harassment is being experienced at work. Include an unequivocal statement that sexual harassment will not be tolerated. • Give out a clear, simple, and easy-to-understand description of what constitutes harassing behavior or conduct, including examples of the types of behaviors that are considered harassing at the workplace. • Implement training for all to include more focus on gender identity and sexual orientation, and emphasize gender neutrality regarding who may experience sexual harassment. • Sensitize male employees and reinforce confidence among women to come forward and file complaints. • Stay updated on employment law changes where their employees live or work. HRs must also utilize professional associations, legal counsel and online resources to ensure that the company is compliant and aware of existing and upcoming legislative changes related to employee rights. It’s better to be safe than sorry, like I always say! If you haven’t institutionalized the above, please do it right away! We at JantaKhoj are always at your service!